Another productive and busy day. I feel like I am getting a bit repetitive in these posts. 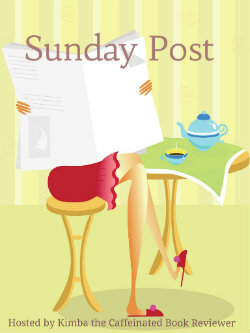 I do a lot of work during the week and in the weekends I try to relax a bit more and also get some blogging done. It’s been nice. And I am really happy work has been so busy lately, I can’t say that enough. It is definitely the good kind of busy knowing that my business has been doing well recently. I got a new book blitz booked this week, that’s a bit different. It’s been fun to do something new, even though the first time trying something new always costs more time and effort. Although I am sorry I haven’t had as much time to blog, visit other blogs and reply to comments. We’re taking a short break form watching Star Gate to watch The Librarians season 3. Anyone watching this series? We really enjoyed the first two seasons and just watched the first episode of season 3. It’s a great series. I tried a new dish yesterday it had mashed potatoes, carrots and onion and went into the oven with some type of bread crumbs on top. It was pretty good. I’ll have tow rite up a recipe post for it soon. And as February is over I present you with my February stats below! I am not too surprised to see I read so many cozies as I’ve been in a cozie mood lately. I feel like 75% of my reviews next months are going to be cozies. I did try to spread them out a bit. I keep thinking I’ll get enough of this genre soon, but every time it’s time to start a new book I seem to pick up a cozy again. At least it makes it a bit easier to decide what to read next. Has this happened to you lately, where you read a lot of books in the same genre in a row? Below are some of my reading stats from February. A few more stats. This month I read 7 self published books and 2 from publishers (1 from Tor and 1 from Kensington). I read 3 different genres this month, which is pretty low for me, I only read Cozy Mysteries (5), Romantic Suspense (2) and Urban Fantasy (2). All the 9 books were full length books, which partly explains why I read less than last month as I read a bunch of shorter reads then. I read 8 books that got a 4 star and 1 book that got a 3 star this month. I had a really good reading month. I read 6 books I got for review and 3 books that I bought. All 3 books I bought were 0.99$. 7 of the books I read where read on my ipad and 2 on my Kobo. I read 4 books written in 1st point of view and 5 in third person point of view. 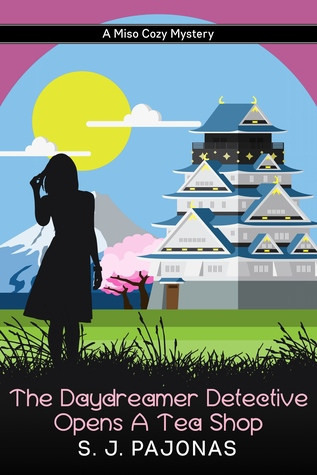 I read 4 books that didn’t take place in the USA at all, namely The Daydreamer Detective Opens A Tea Shop that took place in Japan and Dark, Witch and Creamy, Witch Chocolate Fudge and Pancakes and Corpses that took place in the UK. 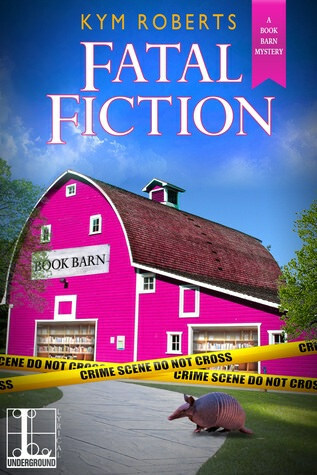 All hose 4 books were cozy mysteries. I only read books that were part of a series this month. 2 books were series starters and 1 a series ender. 3 of the books I read were the third book in a series. 5 of the books I read had a human as main character, 3 books I read had a witch as a main character and one book had dolphin shifters as main characters. 3 of the books I read had multiple point of views. I picked this up during grocery shopping this week, it’s a coconut milk drink. Our grocery store stocks a lot of vegan/ lactose free milks these days. I have tried some, but not nearly all of them yet. This week they ran a discount on this brand, so I decided to pick one up to give it a try. I always like discounts like these as I feel less bad for trying something new when it’s discounted. Anyone else like trying new products when they are discounted? The Daydreamer Detective Opens a Tea Shop was so good! Another awesome book by SJ Pajonas. 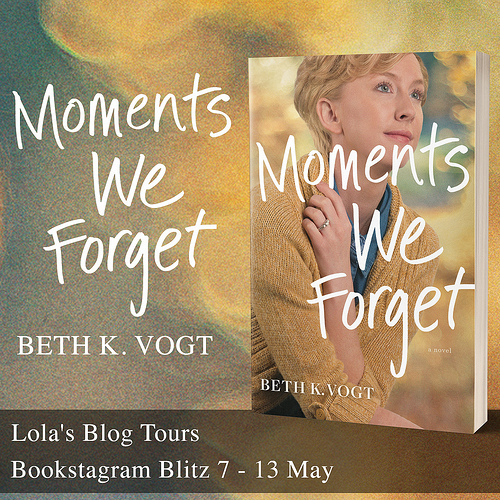 She’s one of my favorite authors and I am already looking forward to her next book. 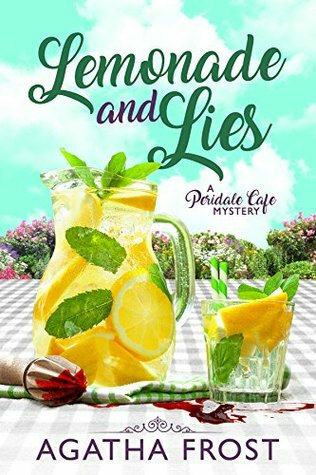 Pancake and Corpses was a great start of a new series, so I read book 2 Lemonade and Lies right after it. They were fun reads, relatively short, but well written and with a lot of focus on the mystery. Book 3 will be released next week, so I am grabbing a copy as soon as it’s live. Seems I found a new cozy mystery author to keep an eye on. – Claimed by the Succubus by Siren Allen – 10 March – New! 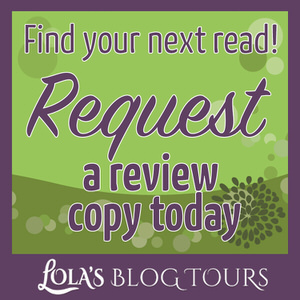 – Book Blitz: Behind the Lens by Cassandra Giovanni – 14 till 20 March – New! 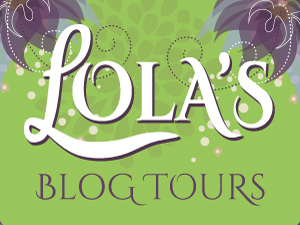 – Book Blitz: Myths & Legends – 14 March till 18 April – New! I got two books this week, which is pretty neat. I won Stranded with the Cyborg. I read a short story by this author and was curious about her books. Fatal Fictionw a sonly 0.99$ and I’ve been in a cozy mood lately, so I picked it up as it sounded good. I’m so happy you keep getting new business, Lola! And I’m like you – these days, blogging, commenting and visiting other blogs just doesn’t happen as much as I’d like. Once I finish my thesis, I’ll do much better again. Your new books look really good, and I hope you enjoy them. I like trying new stuff, and depending on what it is, I do that when it’s discounted, as then I won’t feel too bad if nobody in my house likes what I bought. Me too, it’s really amazing to keep getting new business. It keeps me busy, but it’s the good kind of busy. I just miss visiting my blogger friends a bit. Yes exactly! I also like to try new things when discounted so I feel less bad spending money on something I might not like and I feel less bad if I don’t like it. I always have a look through the discounted products to see if they have something I always buy and can buy for less or something I want to try. You seem much happier with the business side of life now compared to last year so that’s good. Hard work does pay off! Thanks! That’s definitely true, it really makes a difference compared to last year. Sure go ahead :). I also got the idea for doing stats from seeing them on someone else their blogs. I think it’s a fun way to show what I read in the last month. I have a hard time resisting discounts at times. That’s impressive you trying to live minimalist, I don’t think I could do that. I do always think carefully before buying something and gauge whether I really want or need something. Thanks! I am really grateful the past few weeks have been so good in terms of business and being productive. 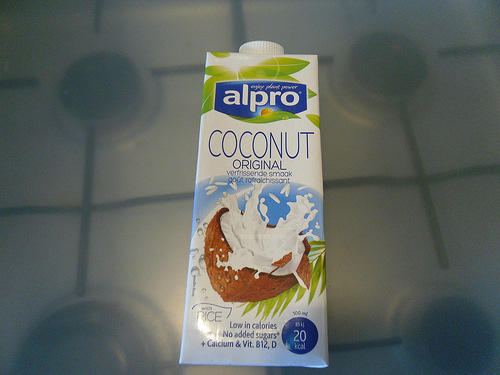 I was surprised how many different alpro flavors they have, I didn’t even realize they had coconut milk. I quite like it, although I haven’t tried it with cereal yet. They sell alpro cuisine here that I sometimes use for cooking. I tried to watch The Librarians but couldn’t get into it. I do love the Star Gate series though. I’ve been wanting to try coconut milk for a while. I tried Almond milk and liked it. I also tried Silk chocolate milk and it was really good. Sorry to hear you couldn’t get into it. I really enjoy the series so far. I also enjoy Star Gate, we just finished season 4 if I remember correctly. I think I tried almond milk once and didn’t like it, but this coconut milk tastes pretty good. YAY! I am glad you are getting some business! Did you start putting out the discount banners yet? 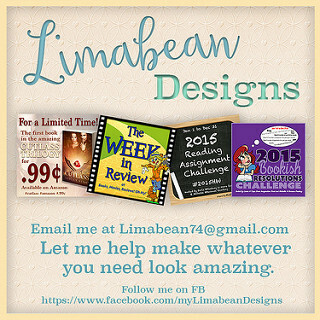 When you do let me know so I can share the discounts for you. I actually really like Coconut Milk but I don’t drink it as much as regular 2% milk. It’s thick and I don’t like my milk thick. I need to find one that is a little thinner than I might be able to drink it more than the 2% milk. My husband loves the Librarians. He was a fan of the movies and now really enjoys the series. No I haven’t used your discount banners yet, I’ll let you know when the next discount is up :). It’s been nice to have so much business. I mostly drink normal milk too and use it for my cocopops as breakfast. I like trying some different types of milk. The coconut milk was pretty good. It’s a really fun series :). We enjoy watching it. I understand. Sometimes nothing really happens during the week and I feel like I repeat myself as well. Oh well. I read a lot of Historical Romance, because that is my favorite genre. I do like expand my horizons a bit and branch out. I am already struggling to come up with something to say for next week’s post as well. I mostly just do a lot of work, which I figure people don’t really want to read about. I haven’t read a lot of historical romances yet, although I did enjoy the few books in that genre that I read. I’ll want to branch out into that genre a bit more. I’ve never seen The Librarians although I did want to, I just never got to it. I heard it was pretty good. And glad you had a good week! Sounds like things are going well for the business. Glad the cozies are humming along. I haven’t read one in a while… and I do like the look of the PAjonas books. Have a great week Lola! It’s a pretty good tv series so far. we’re almost finished with season 3. There are also 3 movies that take place before the series. I love Pajonas her books, they are so good. The first book in the series is only 0.99$ in case you’re interested in giving it a try! What a nice, busy week for you!! I’m glad you enjoyed THE DAYDREAMER DETECTIVE OPENS A TEA SHOP! 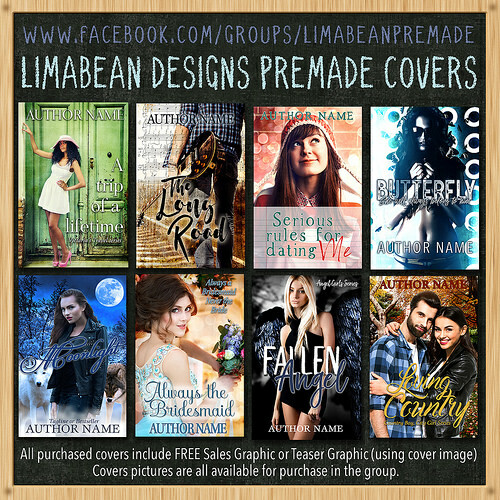 <3 And I love the covers and titles of those other books, PANCAKES AND CORPSES. Lol. Great marketing. I already am looking forward to the fourth daydreamer book. Book 3 was so good and I already miss spending time with Mei. 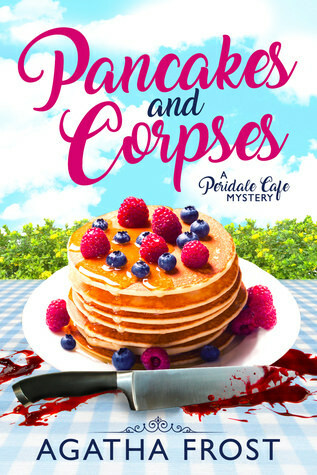 The author for the Pancakes and Corpses book did a great job with her marketing. 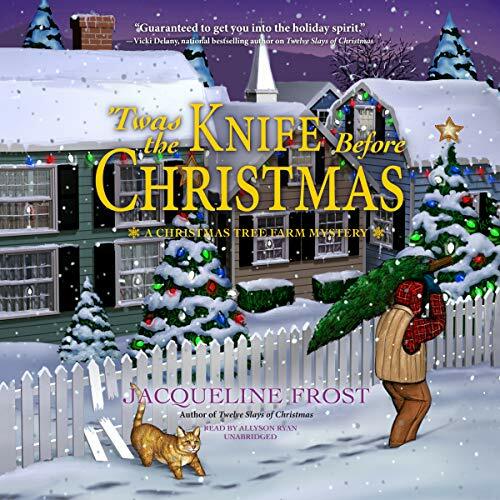 I actually saw it in the amazon also bought’s when leaving a review for another cozy and the pretty covers caught my attention. I hope to read book 3 after it releases later this week. Absolutely I try new products when they are at a discount price. Great finds this week on the books. I hope you love all of them. It’s great when you can try new products for a discounted price. Yes 9 books in a month is still pretty good :). But it was fun to compare it with last month when I read way more novella’s. I think I am slowly getting in the mood for other genres as well as I didn’t read a cozy this week, except for the one I DNF’d. It really is a great genre and I hope you enjoy my reviews next month :). Sorry to hear you couldn’t get into the Librarians tv shows. I really enjoy it! I do often use coconut milk for cooking as I regularly make curries and always have a can or two in house for that. But I never just drank it like that, I kinda like it and bought another brand this week to try out. Neat! I know your goal was to increase business this year and I’m glad to see your doing it. 🙂 Well done!!! I have no idea why, but I love reading book stats. 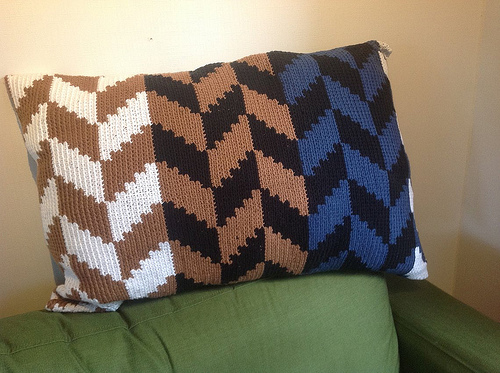 You did read a lot of cozies, but I don’t think that’s a bad thing since that is where your interest is right now. I’m glad to see a good balance of new and familiar authors and books and variety in indie and traditional publishing and nice ratings. Oh, that’s good to see the new cozy series you got ended up working out good and is now a favorite. Have a great week and wishing you continued increased work projects. Yes that was one of my goals indeed and so far I seem to be doing well. It’s really great to see my business doing well lately. It’s fun to type out the stats and reflect on the past month in terms of reading. I am glad to hear you enjoy reading them :). It was nice to read as many cozies as I wanted to. I did veer away from the cozies this week and read and urban fantasy and romance book and reading two more romances at the moment. I am looking forward to the third book in that cozy series, it was nice to pick up a new series like that and end up enjoying it so much. It was a fun event and I liked seeing the different authors and books. I am glad I won a book from an author I wanted to try. Sounds like you had a great reading month! Almost all 4 stars and one none below 3 stars. Although looking at my books from the past month I guess I didn’t do too bad either. Is that drink coconut milk or coconut water? (The picture on the carton makes it look like the water.) I don’t think I’d like drinking coconut milk since I don’t like coconut—I eat the ice cream because that has other flavors that kind of cover the coconut. But I’ve tried coconut water numerous times and it’s just blegh, awful to me. Yay for winning the Cyborg book! Me too, it’s really amazing to have had so many busy weeks in a row. I just hope it keeps up! Yes it was a good reading month, lots of great 4 and 3 star reads. It’s probably water, I don’t know. The package doesn’t even specifically call it that I think, just coconut. I call it coconut milk as that’s the term I usually use and it looks kinda milky? I kinda like the taste, but I also like coconut. I wanted to give that author her books a try, so I am glad I won the cyborg book! It’s good to hear your tour business is keeping you busy. I have some cozy mysteries I plan to read soon. It has been a while since I’ve been obsessed with one genre. It is fun to find a genre you enjoy. I hope you have a great week! It really is nice to stay busy with my business doing well. It was kinda nice to read so many cozies in a row, although I think I got out of that mood again as I didn’t read any cozies this week except for one I DNF’d. Occasionally I do pick up something-especially if it’s on sale. Sometimes I happy with it-sometimes not so much. I only occasionally read a cozy book. 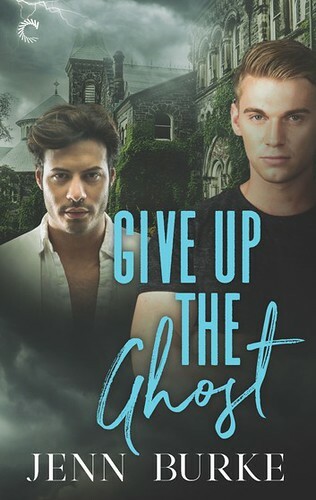 I am pretty stuck in paranormal romances, UF and contemporary romances. I do find myself picking up more and more YA too-there’s just so many good ones now. I do like the occasional romantic suspense too. Glad your business is good! Hope your week ahead is just as good if not better! I agree it can go both ways, I also have picked up some things discounted that I didn’t like. I did like this coconut milk. I really was in a cozy mood this week. It seems romance might be next as I am reading tow contemporary romances right now. There really are a lot of good books out there. Thanks! It really feels amazing that my business has been doing well lately. Glad to see your business is doing really well. I haven’t watch Librarians, but I want to. I’ll start it one day. I wonder if you read more or less pages, since you read all full length books. I hope you have a great week. Thanks! It really is awesome to have my business doing so well lately. I hope you give The Librarians a try, I think it’s a great series. I was wondering about that too, as this month I read more full length books I think the total page numbers might actually be close together. Will be interesting to see how that trend continues the rest of the year. Thanks Anna! It really is wonderful to have business going so well, even though it means less time for other things.